Goold Orchards, Castleton, NY invites pre-school, daycare, and elementary school age children to see first hand how apples are harvested from the trees. Learn how apples get from our beautiful apple orchard to the supermarket. The tour cost per child, includes the tour, apple picking (5 to 6 apples in provided bag), and a snack of cider and an apple cider donut. The apple picking and snack take approximately an additional 30 to 60 minutes depending on the group size and age. 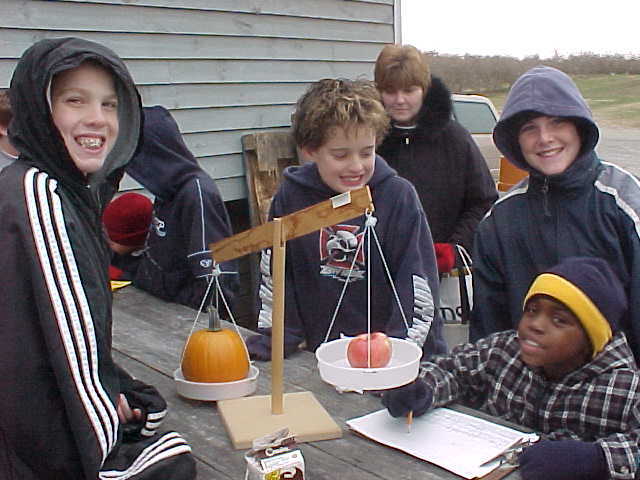 Groups may wish to "pick only" apples and / or pumpkins, however, the per child cost will include the cider and donut snack. Please call (518) 732-7317 between 9:30 am - 3:00 pm to book your tour or pick your own (PYO) outing. Ask for school tour information, our chaperone policy and the current price per child .